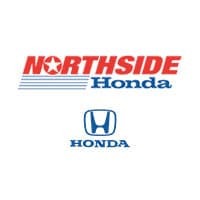 New to San Antonio but I have always taken my Honda to a dealership and this establishment is exactly what I look for in customer service, quality matience and honest recommended services. I will return for the simple services as well as any major maintenance. Steven Casias, is great he will help you any way he can! Don’t hesitate to come by if you’re interested in a new car! Thanks Steven, will be sending you my friends over! Review of Steven CasiasYesterday, we walked in Honda with the idea of just seeing what our options were and $500. We met the very nice and sweet man, named Steven. Either he is a hustler or just the nicest salesmen in that building. He is the nicest I'd say! It was nice to hear options, he worked with us the entire way. No pressure at all. He understood our needs and wants and limitations! He was beyond professional, knew his stuff and worked diligently through and through with us. It took a couple hours and (test drive, finance checks, application process, washing the car, plates, etc) and we walked out with a car, a Honda CR-V! Our first SUV. At a great price I think. Please ask for Steven Casias if you want pure passion, humor, knowledge, understanding, and professional demeanor all the way. Steven is the man. We will be back to Honda and look for Steven if he's around just to say hi. Best service in town. I hated dealerships before meeting with Denise he was the best sales man ever listened to what I wanted and delivered. This is my second car from Honda. I purchased the 1st car from the Fiesta Honda. I received a fair trade in for my car. I asked for a certain model and color and received the new car in less than 4 days. The sales team of Roselyn Montes and Richard Furst were not pushy and did not pressure me. I was updated twice a day on where the new car was coming from and when it arrived when the detailing would be completed. I have no issues with the sales team and will buy my third car from this location. Outstanding customer service, I initially thought I was going to walk in and spend hours at a dealership, but In not this time I walked in at 8:00 am an hour early. I had no idea it opened at 9:00 am Audrey a sales rep helped me instantly before the store opened. She literally answered any questions I needed help with even when I needed help understanding a few things made everything super simple was in and out the fastest I have ever been at a dealership best experience ever she went above and beyond. Thank you so much Audrey for everything! I recommend this dealership ask her Audrey 🙂 in love with my 2019 Honda Accord sport!